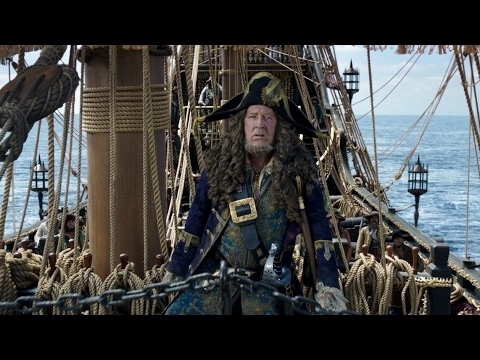 Called the much cooler Dead Men Tell No Tales in the U.S., Pirates of the Caribbean: Salazar’s Revenge hits our screens in May, and while our first look a few months back focused solely on Javier Bardem’s villainous ghost pirate Salazar, this new Super Bowl spot really clues us in on what this fifth installment has in store for us. Namely ghost ships, more supernatural shenanigans than you can shake a stick at (the ghost priest walking on water is an awesome sight to behold), and, of course, Captain Jack Sparrow (we even get a brief look at Orlando Bloom a the 1:03 minute mark). This may be just me, but I can a vibe from this that skews much closer to the original movie in terms of story and visuals, so those bemoaning the state of the sequels may be in for a treat here.